Looking for a break this winter but want to keep things affordable? I checked out the best destinations for a staycation in the UK this season. From a winter wonderland in the Lake District to a dose of sunshine on the Isles of Scilly. Having my own staycation in the UK is something I'm guilty of not doing enough. We spend so long wishing to go to all these places around the world that we forget about the beauty of living in the UK. The UK is somewhere people all over the world have their lists of places to visit; so why don't we living here make the most of it more? Growing up in the North of England, the Lake District was somewhere we took a family staycation caravan holiday to every year. With fond memories of waking up to it’s rolling hills and still lakes, it’s just as beautiful in winter. Catch the early morning frost as the surrounding villages wake on Lake Windermere. enjoy an afternoon walking around the shops of Ambleside and Coniston. 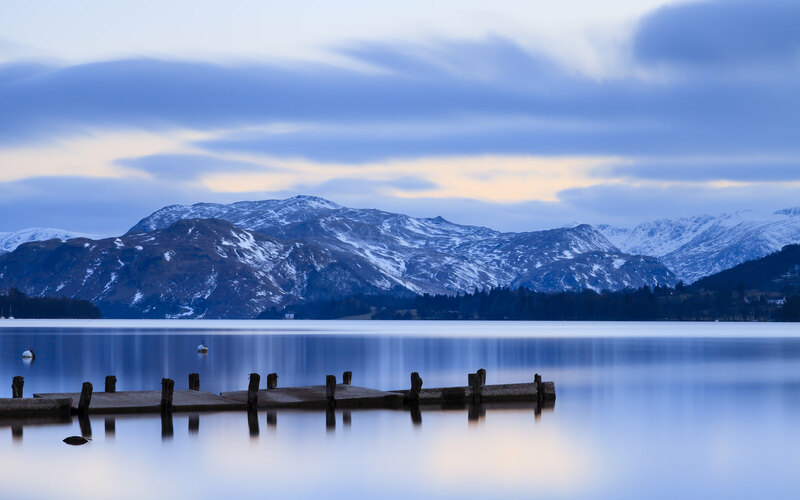 Or take a winters hike exploring Ullswater; surrounded by stunning mountains and scenery. 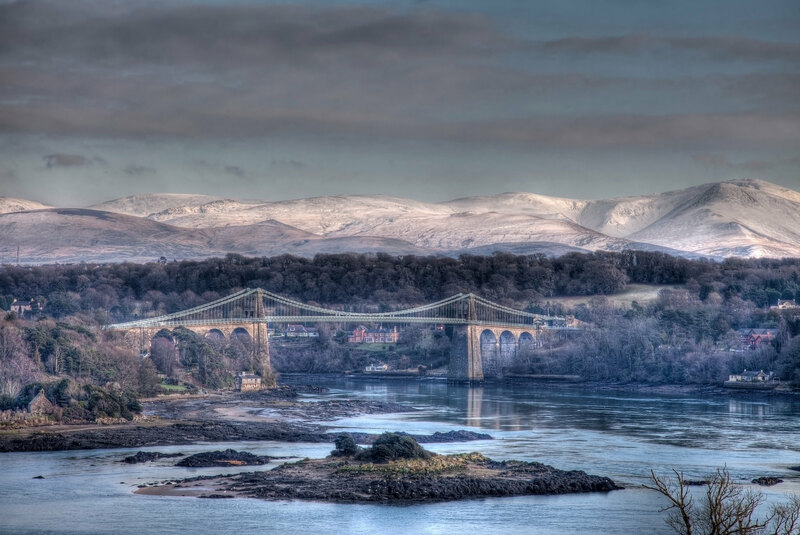 The area surrounding Snowdonia in Wales has always been popular with winter travellers. Great for those interested in snow-boarding and skiing, the mountains here are filled with sledge enthusiasts at the first sign of snow. Check out the Storey Arms for the best facilities. Also make the most of the snowy weather taking a winter walk along many of the hills in the Brecon Beacons national park. Also home to some of Europe’s finest surviving medieval castles. Check out Carreg Cannon Castle perched high up on the crags. Take a walk around one of the main surrounding towns and villages for quaint lunch spots and boutique shops. 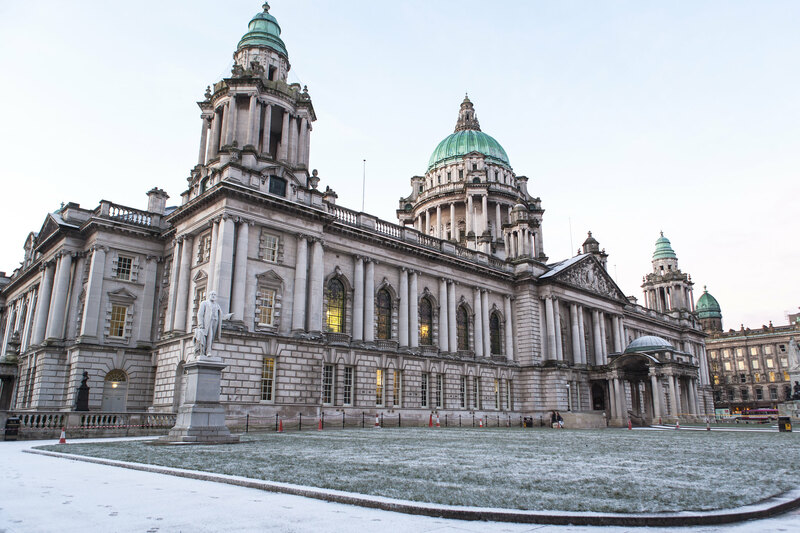 A popular weekend break at all times of year, Belfast is an easy hop-over staycation destination from almost anywhere in the UK. Over the years Belfast has become one of the most vibrant and culturally diverse cities. With billions of pounds of investment dedicated to restoring the city’s Victorian architecture and revive it’s arts and music scene. Take a snowy winters walk up Cave Hill country park for breathtaking views over the city. On rainy days check out the Ulster Museum, with four floors dedicated to art, nature and history. Get hands on with their costumes and artefacts. Take a break for some afternoon tea at the extravagant Merchant Hotel in the Great Room restaurant. Or for some evening cocktails check out Bert’s, which is inspired by a 1930’s New York jazz bar. The Isles of Scilly are off the south-western tip of Cornwall. 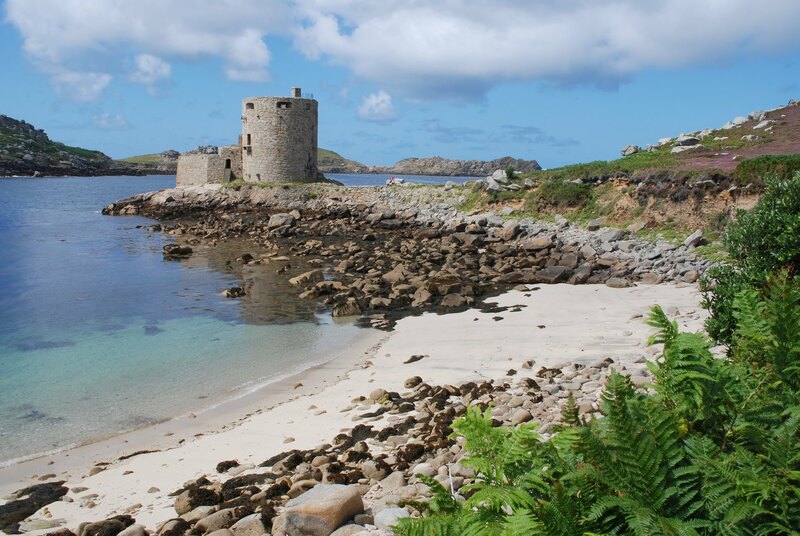 As the southernmost location in England, the Isles of Scilly has better weather than most of the UK. Reaching high temperatures in summer, it’s also one of the warmest places in the UK to visit in winter. if you’re looking for some winter sunshine, the Isles of Scilly are for you. Visit St. Mary’s island for a picture-perfect mix of castles and coves. Home to ancient stone structures, Spanish windmills, lush green gardens and wetlands. A quaint place steeped in history and modern charm, you’d almost forget you’re in the UK. Of course, being an Edinburgh local I couldn’t resist putting it on the list. 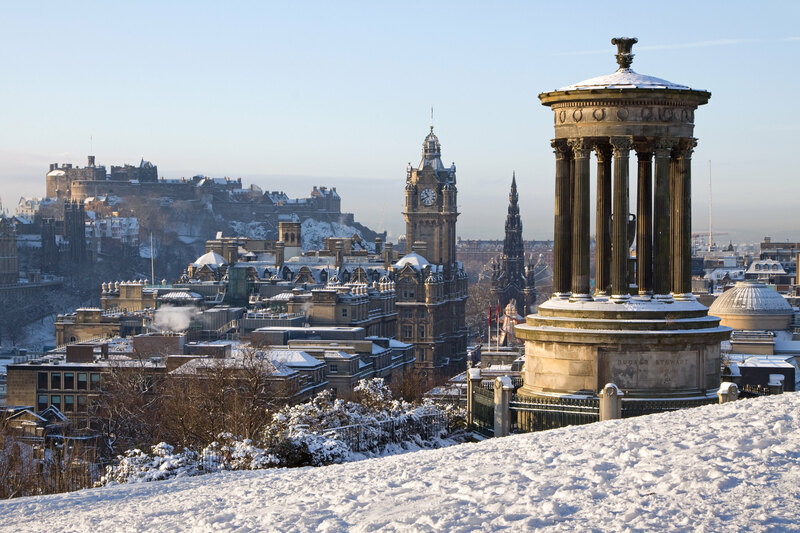 I might be bias but Edinburgh really is one of the most beautiful places in winter. Especially during the month of December with the Christmas markets and decorations, there’s nowhere more beautiful. A snowy day casts a perfect blanket of white over the stunning architecture of the old town. Take a winters walk out of the city to the Pentland hills. On a clear day you can see all the way across to the city centre for miles across. Where’s your favourite place for a UK break this winter? 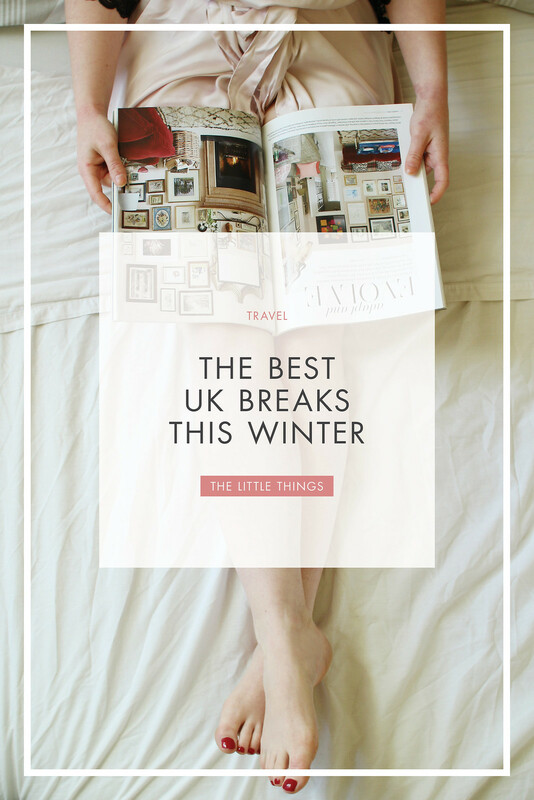 This post was in collaboration with Great Little Breaks UK. All views are my own. All photography used is licensed stock photography.